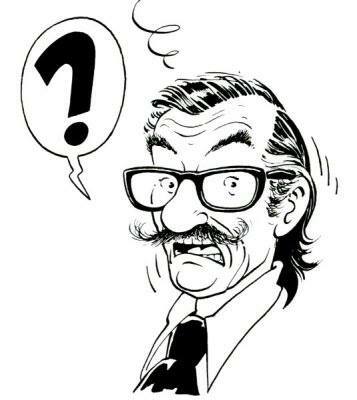 Bob de Moor is the pen name of Robert Frans Marie de Moor (20 December 1925 – 26 August 1992), a Belgian comics creator. Chiefly noted as an artist, he is considered an early master of the Ligne Claire style. 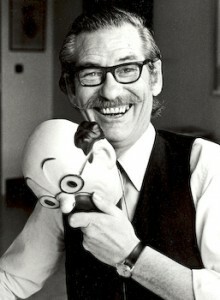 He wrote and drew several comics series on his own, but also collaborated with Hergé on several volumes of The Adventures of Tintin. He completed the unfinished story Professor Sató’s Three Formulae, Volume 2: Mortimer vs. Mortimer of the Blake and Mortimer series, after the death of the author Edgar P. Jacobs. Bob de Moor started drawing with pencil at three or four. Living in a port town, he developed a strong interest for drawing sailing ships which carried into his professional career with his Cori series and other work. Following studies at the Antwerp Academy of Fine Arts, de Moor started his career at the Afim animations studios. His first album was written in 1944 for “De Kleine Zondagsvriend”. Beginning in March 1951, starting with Destination Moon, he began a collaboration with Hergé on Tintin albums and Tintin-related material which included extensive work on sketch studies, backgrounds, layout, and ultimately animated films. His co-worker Jacques Martin is quoted as saying that de Moor had an extraordinary facility to adapt himself to the style of others. This manifested in a seamless integration with Hergé’s style, as well as in him being asked on occasion to complete the work of other artists.